In the world of clicker games, Holyday City Tycoon is a bit of an oddball. The game doesn’t force you to tap in order to get money and there aren’t upgrades that automatize taps. Next, the whole economy is divided into two parts. The first part is made out of strictly money making businesses while the second part is represented by facilities that, on top of generating money, produce various resource used for upgrading different stats of your businesses like profit, time needed to generate money or resources, and also for simply buying additional businesses without paying money for them. The game starts with a simple tutorial that will explain everything there’s to know about Holyday City Tycoon without making you stop playing the game because the tutorial takes hours to complete. In fact, the early game isn’t covered by a classic tutorial, those tips are completely out of the way and optional, without forcing you to perform different actions. 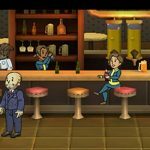 Now, after you really start playing the game you will find a classic tap game mechanics with a few additions we already covered. 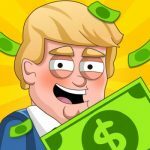 Holyday City Tycoon offers various managers and investments that come with different bonuses, there’s the option to cash in your assets and start the game over but with lots of money on your bank account, and you can also find various facilities that get unlocked at higher levels of your city. Holyday City Tycoon looks cute and cartoony, which completely suits its simple yet addictive gameplay. Different businesses are represented with easy to differentiate icons, and clear and easy to read. You know which option does what and won’t be confused with a huge number of features or illogical placement of different menus in the game. Overall, Holyday City Tycoon isn’t a gorgeous looking game but it features utilitarian visual style spiced up with cartoony graphics, and that’s great because it looks clean and clear. Now, there a two different money making sectors in the game we already mentioned (service and production sectors), and each features five different businesses which all greatly vary by profit per second combined with other benefits they provide, like producing valuable resources. Getting high profit is relatively simple, all you have to do is follow our Holyday City Tycoon guide and you’ll find yourself bathing in money after just a couple of days. 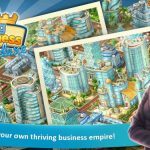 So let’s move on to our Holyday City Tycoon tips, cheats and tricks to find out how you can become a business tycoon! While most other tap tycoon games made clear which facilities garner bigger profits, things are a bit different here in Holyday City Tycoon. When the game starts your basic business (Boutique) is the best paying one and then after a while, other, more expensive will take over (Café, Burger House, and Night Club). You will then unlock the Hotel, but it won’t be the best until you unlock a couple of production facilities (like the Factory, Power Plant, and Farm) and use those resources to boost profits for Hotel facilities. Then they will become the best but shortly after you will unlock the ultimate facility, the Lab. Once you unlock the Lab save up resources to buy upgrades to it because it will give you the best profit for a while, but also keep buying additional Boutiques. When you reach around 500 Boutiques owned, start spending materials on Boutique upgrades and never stop, especially Energy upgrades, which boost profits. Now, you should exclusively spend Energy upgrades on Boutiques until they become too expensive (they reach tens of billions of $) and if you do this, your Boutiques will garner by far the biggest profit per second. By then you should have around 750-800 Boutiques giving you more money per second than all other businesses combined. After that, since Energy (profit) upgrades became too expensive to be spent on Boutiques, you should focus on your Factories, Hotels, and Science Labs, which should become main profit carriers in the future. Claiming fee gives you money for all of your businesses and starts the game from scratch. The money gained cannot be used for buying businesses, only for getting managers and investments. Because of that, you should claim fee and start over only after you know you will have enough money on your account to get first two upgrades (the one that doubles the happiness, and the one that doubles all profit). This will make starting over less painful and soon enough you will reach your old level of money-making, but will easily start advancing with the help of double profits upgrade. Now, since managers and investments, which are the most potent upgrades in Holyday City Tycoon, can only be bought with funds on your bank account you will surely have to claim fee for the second time, thus starting over again, which can be hard for most of us because no one wants to start from scratch for the third time, despite having upgrades that will make the climb easier than before. Luckily, the game offers players to claim fee without having to start over, but the option cost 30 gold bars (the game’s premium currency). So, you may think that the only way to get money without having to start over is to spend some real cash for the painless claim option. Well, not true. You can get premium claim option without spending money on gold bars. Just visit the game’s Facebook and Twitter pages (available from the Store). You don’t have to like them, just visit them and return to the game and you’ll get a couple of gold bars for each visit. Next, claim daily prizes and visit the game’s Twitter page each day (you can do this each morning), which is available in-game and get promo codes. Gold bars are awarded every second day. So, in about a week, or less if you’re lucky with promo codes you will have those 30 gold bars needed for a premium claim option. Now, by then you should have enough funds to get all but the last three office upgrades (up until the X2.5 happiness bonus that costs 500 Sx). You can also opt out and claim your money even in case you cannot get the fourth best office upgrade (the manager that gives you X4 happiness bonus). But do not opt out if you cannot buy other upgrades, the minimum amount of money should be enough to get all but the last four office upgrades. Now you won’t have to start over, will get a massive profit and material production boost and will be able to level up your city much faster because you citizens will be super happy. And by the time you gather enough money on your bank account to get the last four (or three) office upgrades, you will have 30 new gold bars to get another premium claim fee option. Holyday City Tycoon is a different tap economy game and that’s great. It offers plenty of interesting features that greatly ease up the process of amassing huge amounts of money. But the game carries one nasty surprise that can potentially ruin your whole day worth of profits. You see, when you exit the game by pressing Home button on your device (minimize the game and exit to the Home screen, in other words) the game will simply switch to a pause state. In other words, your businesses won’t continue to make profit while the game is minimized. And if you’re a person who checks on the game in the morning and then right before sleep you will have a nasty surprise waiting for you after you realize your businesses made zero profits that day! So, each time you want to exit Holyday City Tycoon, do not press the Home button. Instead, press the Back button until game notifies you it will save your game and then close down. Simply tap on save and exit the game and that’s it! Don’t say we didn’t warn you. Like most other games Holyday City Tycoon offers video ads in exchange for profit boosts. Each time you enter the game, it will offer you to watch an ad and get your profit doubled. You should definitely do it. Also, one video ad is worth four hours of doubled profits. You should watch four ads in a row and then have double profits for the whole day and not think about it. But, the game hides one nice secret. You see, you get milestones for watching ads that carry permanent upgrades. For instance, 25 ads watched gives you a permanent 8 percent boost on business speed (the speed at which they gather profits), 24 percent profit boost (which is huge! ), and 20 percent boost on resource production (which is also huge!). So make sure to watch ads whenever you can because if doing so you will soon get huge boosts to profits and material production rates, and they all are permanent! And this wraps up our Holyday City Tycoon strategy guide. We hope that our Holyday City Tycoon cheats, tips and tricks will make you a billionaire much quicker than expected. Thanks for reading and happy gaming!